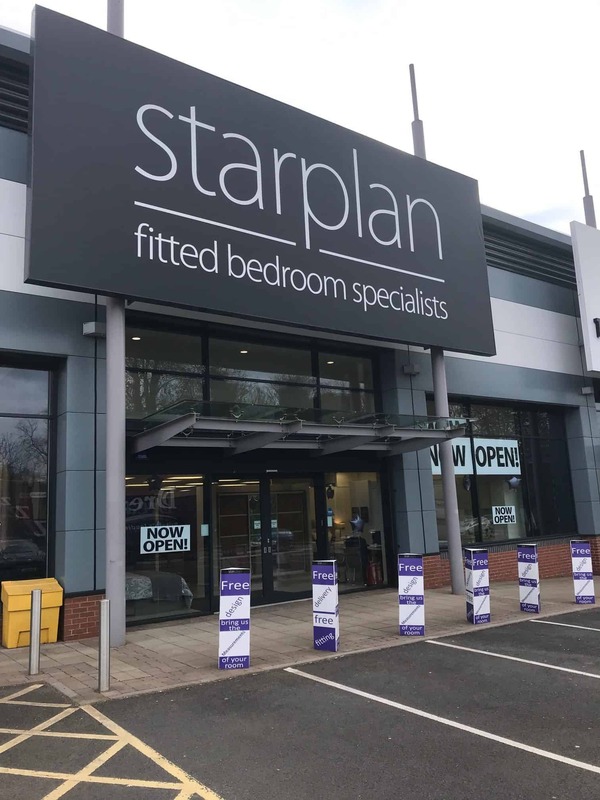 Here at Starplan fitted bedrooms Stoke, we strive to deliver an exceptional experience from the minute you walk through our showroom door! If you want a newly fitted bedroom, we will make sure that you get the solution which fits your space, your colour scheme and maybe most importantly, your budget! 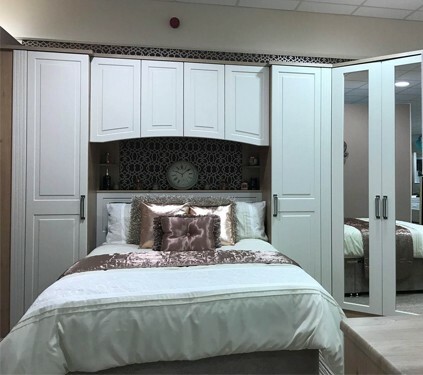 In our fitted bedroom Stoke showroom, you will find plenty of ideas and inspiration to help you design your own bespoke fitted bedroom. 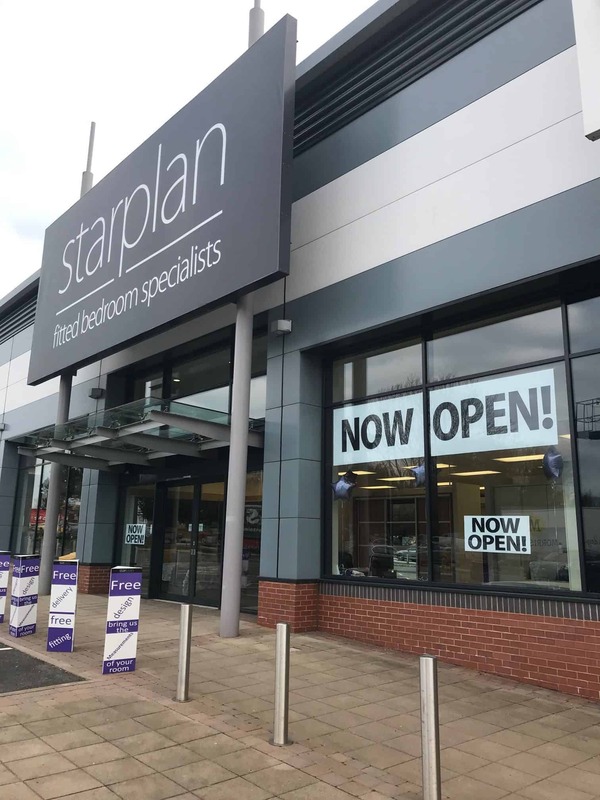 Address: Octagon Retail Park, Hanley, Stoke-On-Trent, Stoke, ST1 5RR. All our fitted bedroom Stoke furniture are manufactured right here in the UK. Every piece comes with free delivery and installation as standard. All of our fitted bedrooms come with a 10-year guarantee. So you can rest easy, knowing you’re covered for the future! As well as our brilliant showroom, we also have an online colour visualiser tool. This will let you choose your favourite fitted bedroom Stoke style, whether that’s traditional, modern or children’s bedrooms. You can then mix and match a range of colours, finishes and trims, to see what your ideal fitted bedroom could look like. Our showroom is based in Hanley, just outside Stoke. However, our fitting team cover areas which include Burslem, Stoke on Trent and Werrington. If you want to know whether we cover your area, give one of our wonderful team a ring, or come and visit us in store! With over 30 designs available in the oak fitted bedrooms Stoke range. 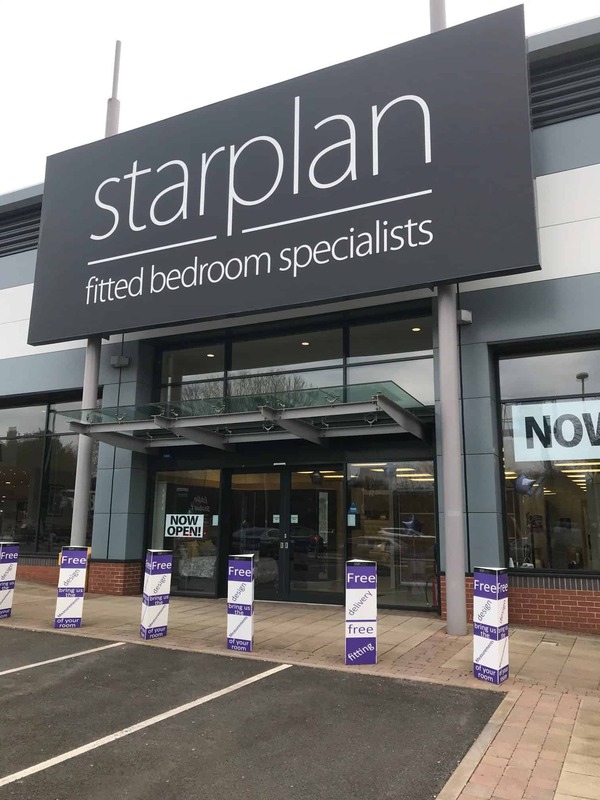 It’s well worth a visit to our Stoke fitted bedroom showroom. 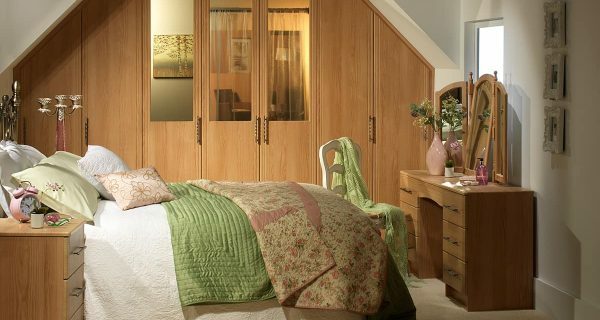 Choose a fabulous soft Oak fitted bedroom to help Maximize storage & reduce clutter. 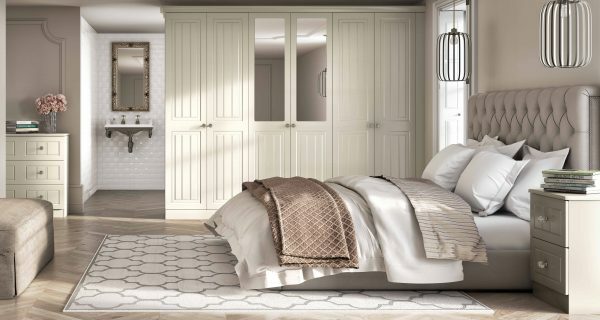 There is nothing shabby about our stunning range of fitted bedrooms Stoke. Check out our porcelain range in our Stoke store. To create a traditional bedroom design with a stylish vibe. 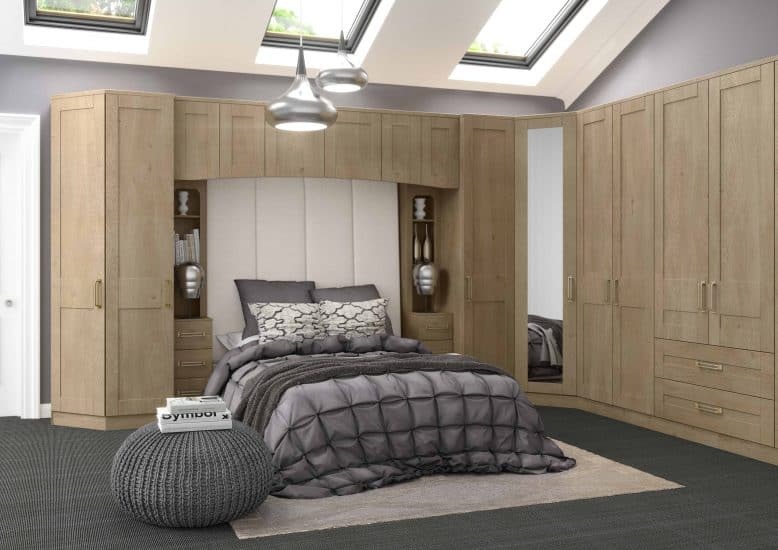 Get a strong modern fitted bedrooms Stoke with Scandinavian style. 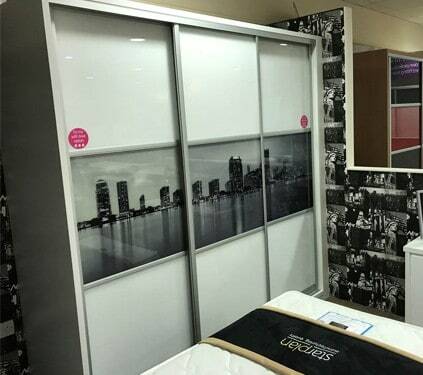 Choose from modern bedrooms displays in our Stoke Showroom. Then, create an ultra-smart bedroom that would grace the pages of a home interior magazine. High Gloss Fitted Bedrooms Stoke available in an amazing range of colours to create stunning fitted bedrooms. Gloss finish bedrooms are the ultimate in glamorous sophistication and is just as popular with men and the ladies. Choose our range of Traditional Bedrooms Stoke to create a luxurious hotel-style bedroom in your own home. 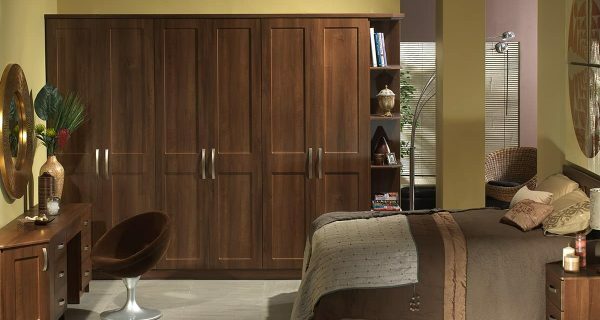 Our Stoke bedroom showroom will inspire a great look which has loads of practical storage solutions too. Our Classic white fitted bedrooms Stoke range remain ever popular. Our Stoke bedroom showroom displays how to create New England chic to contrast with any bedroom furnishings. Cool, Calm and Collected that’s our Maple Fitted Bedrooms Stoke range. Our Stoke bedroom showroom displays fitted bedroom and home office solutions to help organise your home & work life. Nothing beats a walnut Fitted Bedrooms for its luxury rich, dark finish. Our Stoke bedroom showroom showcases deep chocolate colours. Contrast with leather and fur for a strong modern look.